When this tribute show is brought to God and Country Theatre, you immediately know you’re about to hear greatest rock and country songs of Alabama. There may be no other place than Branson to honor Alabama and no country band more legendary than this group. Included in the storied career of Alabama are countless awards, including 22 American Music Awards, 16 Academy of Country Music Awards, 9 Country Music Association Awards, and two Grammy Awards. Their fans enjoy the blend of genres that comes through in Alabama’s best-selling country songs, both contemporary and traditional country, pop, rock, and gospel. 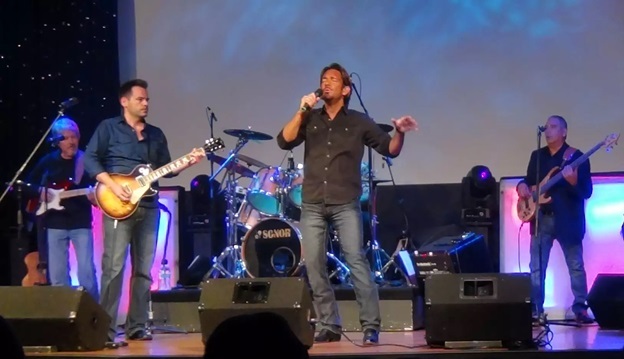 The fabulous performing artists in “Alabama Rolls On Tribute Show” will share to audiences a lot of the band’s greatest hits including southern rockin’ country sound. Enjoy the group’s performance like no other as the incredible line-up of seasoned professionals play many of your favorite songs, and it can only be found at the God and Country Theatre in the live music destination of Branson, Missouri. If you are a fan of this popular music group, you don’t want to miss one of the top music shows in Branson, “Alabama Rolls On” which incorporates a talented tribute band singing all the favorite hits of Alabama. The Alabama Rolls On Tribute Show in Branson showcases one of the most prolific and beloved groups in the country. These professional musicians who make up the group deliver a tribute show that satisfied even the most diehard fan of the original group. The talented group makes sure you’ll hear your favorite hits, making you singin’ along, and shountin’ for joy when they are on stage. Alabama was highly regarded for its southern-style rock music and edgy country songs from their humble beginnings in the 60s until they parted ways after their Farewell Tour in 2004. Fortunately, the Alabama Revival gives them a chance to relive the glory days of this popular group by joining in as tribute artists take the stage, imitating the original Alabama artists’ every move. Whether you’re a fan of country, rock, pop or gospel music, there’s an Alabama song you know and love. So, come on down and watch the sensational Alabama Rolls On Tribute Show at the God and Country Theatre.